Patients often ask about removal of benign skin growths or cosmetic type procedures in dermatology. Cosmetic procedures are not covered by Medicare, many private insurances, and HMO's. Cosmetic procedures such as facials, acne laser, wrinkle laser, liposuction, leg vein sclerosis, hair transplants, dermabrasion, collagen injection, epilation, electrolysis, chemical peels, face lifts, freezing, electrical cautery, or surgical excision of benign lesions are not covered by Medicare, many private insurances, and HMO's. In general, under Medicare and HMO guidelines, the removal of benign growths (Not cancer and not precancer) are not covered unless the lesions are of medical necessity (interferes with vision, hearing, breathing), or are symptomatic (bleeding, itching, infected, inflamed). 1) Seborrheic Keratoses--Non-cancerous wart-like growths that usually occur on the trunk. Seborrheic Keratoses usually run in families and have virtually no potential to become skin cancer. Classic "SK's" are harmless. 2) Cherry Angiomas--Non-cancerous red or purple growths of blood vessels that mainly grow on the trunk. Cherry Angiomas usually run in families and have virtually no potential to become skin cancer. Classic Cherry Angiomas are harmless. 3) Benign Moles: Nevi--Most human beings have twenty to forty such benign, non-cancerous moles. Moles that are fleshy, well circumscribed, of one color, protrude, and are hair-bearing have virtually no potential to become cancerous. Pregnancy and female hormone supplements can make them darken and grow, but have never been proven to induce formation of skin cancer. 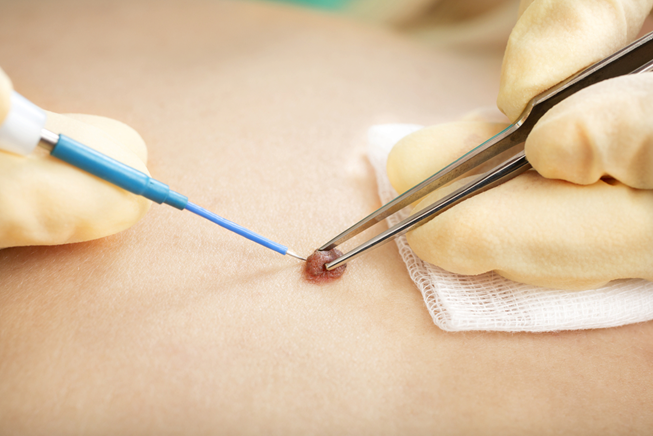 A pigmented growth should be biopsied when it fulfills certain criteria known as the ABCD's. 4) Skin Tags--These fleshy, protruding, pedunculated, and sometimes pigmented growths usually occur in skin folds, such as the neck, armpits, groin, breast-folds, and eyelids. Skin Tags may occur on the back or chest. Classic Skin Tags have virtually no potential to become skin cancer. Classic Skin Tags are harmless. 5) Dermatofibromas--Dermatofibromas are "moles" which are different from nevi but are almost always benign. Dermatofibromas are dome-shaped, are pigmented (or have a ring of pigment), and usually (but not always) occur on the legs of young and middle-aged women. Classic Dermatofibromas have virtually no potential to become skin cancer, however, aggressive large growing dermatofibroma like lesions rarely occur and can be cancerous. Any large growing dermatofibroma like lesion should be evaluated. Smaller, well circumscribed classic dermatofibromas are harmless. 6) Neurofibromas--Like dermatofibromas, these "moles" are different from nevi and usually occur on the trunk and buttocks. Like dermatofibromas, Neurofibromas are almost never cancerous and are skin-colored, soft, fleshy, and even jelly-like to the touch. Aggressive large growing Neurofibromas rarely occur and can be cancerous. Any large growing Neurofibroma like lesion should be evaluated. Smaller classic Neurofibromas are harmless. 7) Venous Lakes-- Venous Lakes are dilated blue veins which occur on the lips and ears of middle-aged and older individuals. Classic Venous Lakes have virtually no cancerous potential, and almost never bleed. One can usually squeeze the blood away from a Venous Lake. 8) Cysts--Cysts usually occur from blocked hair follicles which form sacs. The sacs fill up with oil and keratin (a skin protein). Classic epidermal inclusion cysts and pilar cysts have virtually no cancerous potential. They sometimes become infected. Classic benign cysts are well circumscribed, compressible, and mobile. Cancers are usually indurated, firm, non-compressible lesions. 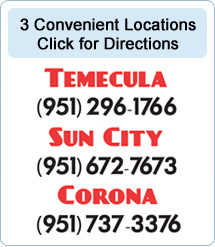 Certain skin cancers can masquerade as cysts, and should be examined if there is any suspicion of skin cancer. 9) Lipomas--Also called "fatty tumors." Lipomas are benign growths of fat cells that can occur anywhere, but usually on the trunk and extremities. Classic solitary Lipomas have virtually no cancerous potential. There are cases of malignant fat cells, very rare, but especially in patients with multiple lipomas. These should be evaluated. However, the simple solitary, or scattered five or six classic lipomas have virtually no cancerous potential. 1O) Solar Lentigenes--Although caused by decades of cumulative sun exposure, Solar Lentigenes "sun spots" (also incorrectly called age spots or liver spots) are almost never cancerous. They usually occur on the backs of hands, forearms, or face. It is a very good idea to inspect them for unusual changes, as precancers and skin cancers can occur in areas of Solar Lentigenes. Classic benign Solar Lentigenes are of cosmetic significance only. Classic benign Solar Lentigenes have virtually no cancerous potential. 11) Telangiectasias--Sometimes referred to as "broken capillaries," Telangiectasias may be caused by sun exposure or heredity. Telangiectasias are small blood vessels and have virtually no cancerous potential. 12) Comedones--Sometimes referred to as "blackheads" or "whiteheads," Comedones may be caused by sun exposure, heredity, or use of oils on the skin. Comedones have virtually no cancerous potential. 13) Fibrous Papules--Fibrous Papules usually occur on the face, especially the nose, and present as well circumscribed bumps that resemble nevi. Fibrous papules have virtually no cancerous potential. 14) Scars--Scars are generally of cosmetic significance and have virtually no cancerous potential. Hypertrophic scars are localized to the area of injury. Keloids are scars that extend beyond the area of injury. If unsightly, scars may be reduced by cortisone injections directly into the lesion. 15) Spider Veins--Spider Veins are small varicose veins or superficial veins one mm or less in diameter, most commonly found on legs of post pubertal females. 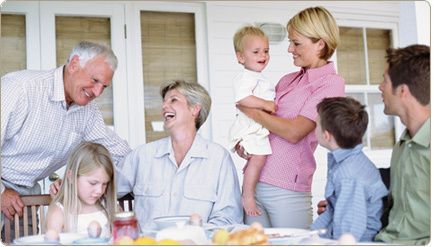 Spider Veins tend to run in families. Spider Veins have virtually no cancerous potential and are of cosmetic significance only. 16) Sebaceous Hyperplasia--Sometimes referred to as "oil gland bumps," Sebaceous Hyperplasia consist of clumps of blocked proliferated oil glands, and may be caused by sun exposure, heredity, or use of oils on the skin. Sebaceous Hyperplasia has virtually no cancerous potential and are of cosmetic significance only. 17) Syringomas--Syringomas are sweat gland growths that present as well circumscribed bumps, usually on the face, and especially on the lower eyelids. Syringomas have virtually no cancerous potential. 18) Wrinkles-- Facial wrinkles are actually permanent creases in the skin due to sun damaged loss of healthy elastic tissue in the dermis. The overlying skin surface may be thinned, scaly, and discolored. 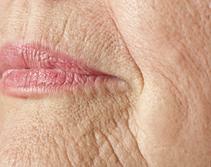 This type of skin damage takes years to develop. 19) Melasma-- Melasma appears as a blotchy, brownish pigmentation on the face that develops slowly and fades with time. 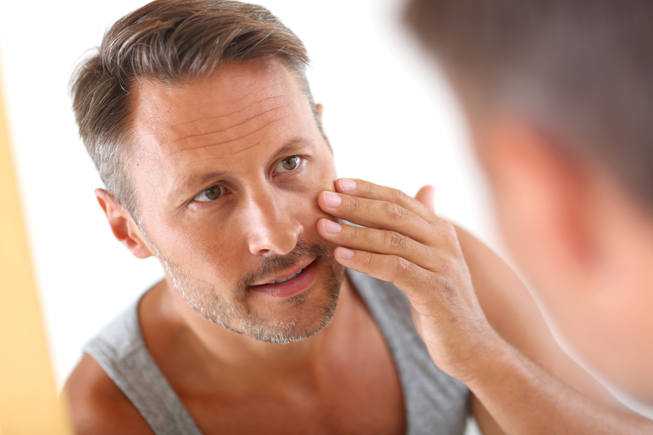 Melasma usually affects women but occasionally is seen in young men who use after-shave lotions, scented soaps, and other toiletries. Melasma is especially common in young women and affects the forehead, cheeks and upper lips. It occurs frequently during pregnancy and is more common in dark skins than in fair skins.